A few weeks ago, Andrew Markowiak and I started a podcast called LFArmy. Right now the plan is to do it bi-weekly but we may start doing more. It’s been lots of fun. Please give it a listen. In my last article I wrote about Goals For Per Game (GFPG) and Goals Against (GFPG) as a potential indicator for playoff success and found that the Cup winners are usually first or second in GFPG and can be anywhere in the top half of the league in GAPG. A great offence and an adequate defence is what has won the last 6 years. With that in mind, I’ve had a couple folks, including one of my profs (props to Professor Copeland! ), ask about whether or not the Sabres are as good as their record. Buffalo’s win streak started November 8th so I took their numbers during the streak and compared them to their numbers before the streak and the average. The Leafs, Preds, Lightning, and Avs are currently the other teams in the top 5 right now in points so let’s do math and compare them! As far as current league rankings in GFPG go, Avs are 1st, then Lightning 2nd, Leafs 3rd, Preds 10th, and Sabres are 16th; GAPG rankings have Preds at 1st, Leafs 3rd, Sabres 5th, Avs are 8th, and Lightning is 13th. So, are the Sabres legit? 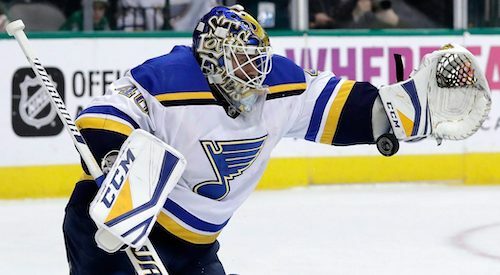 Considering 3 of their wins came in overtime and even when they’re winning they’re not outscoring the top teams, I’d wager they’re riding a super hot Carter Hutton right now. Also, based on these numbers, the Leafs are playing great and will only get better with Matthews and Nylander (?) coming back within a week of each other. More fun talking will be coming on the podcast this weekend.